Success in the manufacturing industry relies on the fast delivery of high quality products, applications and services, without sacrificing production systems stability. At the same time, IT teams are under pressure to transform backend SAP systems more quickly to take advantage of new approaches and technologies like IoT. Now you can accelerate the delivery of services, while maintaining near 100 per cent uptime of SAP solutions and improving efficiencies. Avoid regulatory headaches with control change automation which documents each and every change. Now manufacturers can eliminate error-prone manual tasks and establish consistent automated change management processes to increase transparency across the lifecycle of SAP applications. Quickly realize the level of enforcement required to reduce threats to production system stability and deliver audit-ready documentation. Reduce the threat of systems outages with the elimination of risky manual SAP change management processes. 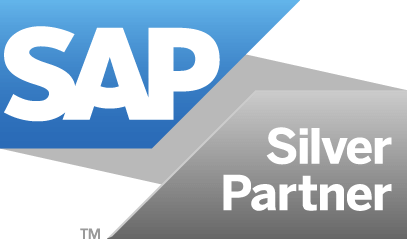 With Rev-Trac Platinum, you can automate critical tasks and enforce pre-determined change control processes to keep SAP systems stable and maximize business value from your investment. Better understand and manage your SAP solutions to improve the quality of changes and prevent production incidents. Adopt agile and DevOps capabilities in your SAP environment to speed up the delivery of applications and enhancements. Improved cross-team communication and the removal of organizational silos makes it easy to deliver SAP change at the pace required. Achieve greater production systems uptime with the integration of key automated tools and processes into an end-to-end approach. Reduce the threat of a systems shutdown with the elimination of high risk manual SAP change processes. Automate critical tasks and introduce consistent change managements processes for more frequent applications and enhancements without breaking production. Better understand and manage SAP solutions to boost productivity, introduce new projects faster, drive down costs and reduce audit effort. Submit this form and we’ll get in touch to see how Rev-Trac can help you achieve your business objectives.